See more objects with the color silver grey darkolivegreen rosybrown darkslategrey or see all the colors for this object. This is a Button. 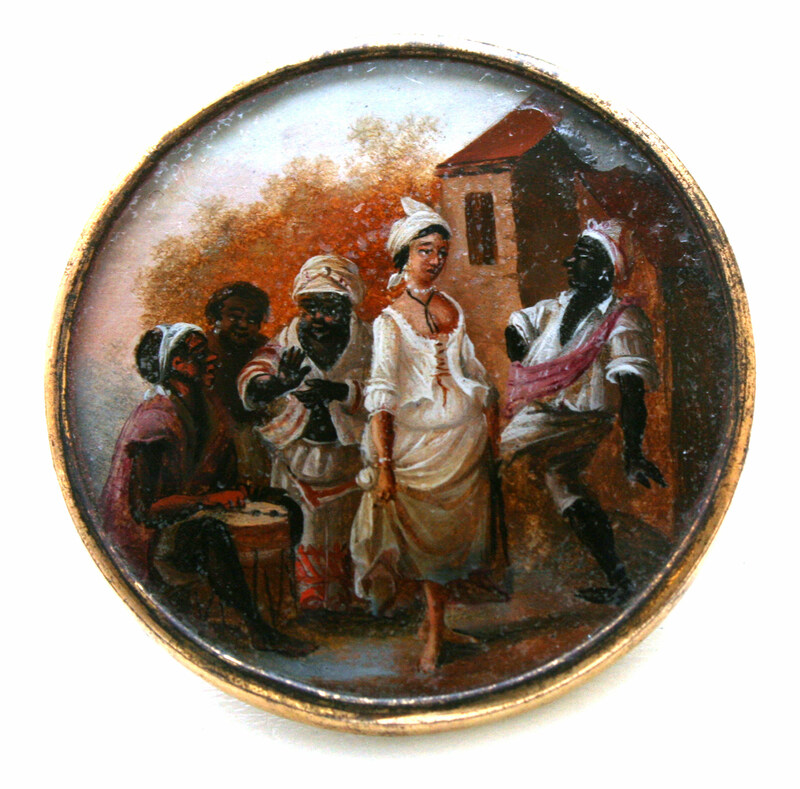 It was attributed to Agostino Brunias and made for Toussaint L'Ouverture. It is dated late 18th century and we acquired it in 1949. Its medium is gouache paint on tin verre fixé, ivory (backing), glass, gilt metal. It is a part of the Product Design and Decorative Arts department. This object was donated by R. Keith Kane. It is credited Gift of R. Keith Kane from the Estate of Mrs. Robert B. Noyes.